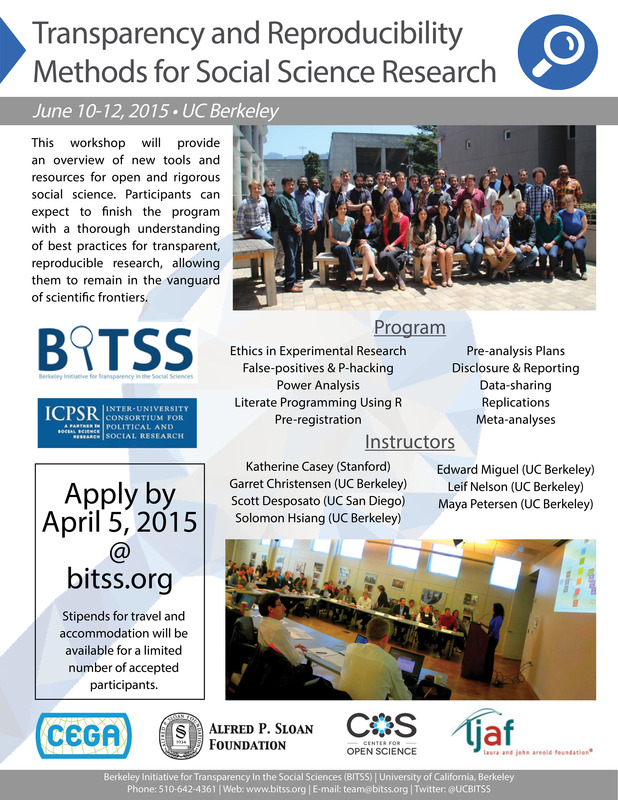 BITSS is pleased to announce it is now accepting applications to attend its 2015 Summer Institute. 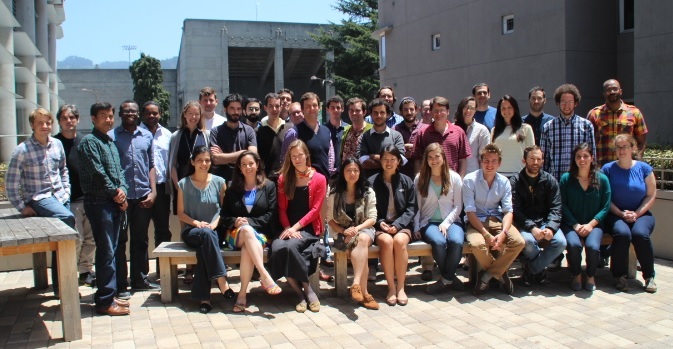 This year’s workshop entitled “Transparency and Reproducibility Methods for Social Science Research” will be held in Berkeley, June 10-12. The intensive course will provide participants with a thorough overview of best practices for open, reproducible research, allowing them to remain in the vanguard of new scientific frontiers. Course details and registration instructions are available on the ICPSR Summer Program Portal. Application material must be submitted no later than April 5, 2015. Stipends for travel and accommodation will be available for a limited number of accepted participants.